Volleyball has been a huge part of Hoener’s life, from growing up playing volleyball in grade school to winning a State Championship in 1992. The thought of returning to coaching was something she gave little thought to, especially having no plans of coaching anytime soon. Hoener said she would need time to think about it, but then everything began falling into place…as if it were meant to be. Hoener’s decision rested solely on having a responsible person to care for the girls before her husband, Josh, came home from work. Shortly after receiving the offer, Hoener learned her dad, Virgil Wolfe, had decided to enter into full retirement and she had found the perfect babysitter. With everything falling into place, it made Hoener’s decision to return as head volleyball coach much easier than she had thought. Hoener said she finds herself watching lots of DVDs and videos from other coaches about things they do that she wants to instill in her team. 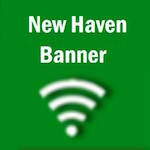 The addition of Hoener to New Haven’s volleyball program will be the first time since 2001 that New Haven has had three coaches. Coach Sharon Sheckhals will be coaching the middle school and freshman teams, Coach Dennis Carrey will remain the JV coach, and both will be assistant varsity coaches, which is something Hoener is very excited about. During Tuesday night’s School Board meeting, Hoener was officially named New Haven’s Head Volleyball Coach. Hoener speaks candidly about her volleyball career at New Haven, both as a player and coach. Carey brought New Haven their first volleyball state title in 1991 and repeated in 1992. Hoener was a part of the ’92 team along with her teammate, Juilie (Gerdes) Westermeyer, (who was also a part of the ’91 team) was the head coach when Hoener began her coaching career in 2000. Westermeyer led New Haven to their third state title in 2000 with assistant coaches Hoener and Carey. In 2002, Hoener moved into the head coaching position, this time with Carey as her assistant coach. Hoener went on to win her first state title as a head coach in 2005. The three (Hoener, Carey, and Westermeyer) of them won two state titles together with Hoener and Westermeyer having played for Carey, both of them winning a state title as head coaches with Carey as their assistant.